It happens all the time... You have a customer looking for a product or service you don't provide. It's hard to "just say no" and leave them on their own to find a reliable source. Besides, what happens if they find a resource whose products and services overlap yours? 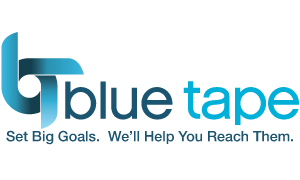 With our Referral Program you can "just say yes" and refer those customers to Blue Tape! Your customer's needs will be met...and they will be well taken care of. We've been working with agencies and trade accounts for over 30 years and can be trusted not to 'go around you' with your customer. We'll even give you a 'referral fee' for sending them our way. One time if they happen to be an existing customer of ours. For a full year if they are new to Blue Tape. Let your customer know you will introduce them to us. Call us with their contact information and the services they are seeking and we'll take it from there. We bill the end user and they pay the invoice directly. We'll generate a check to you at the end of the month in which the invoice is paid. We'll send you an itemized listing of all your sub-accounts monthly. Find out more. 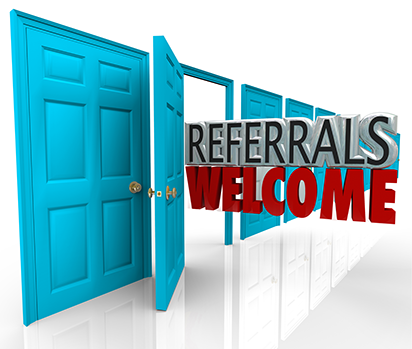 Contact us to discuss the benefits of our Referral Program and we'll be happy to answer any questions.